Materials Marketing Limited offers a wide selection of stone flooring materials including: Latte, Champignon and Walnut, to name a few, that favorably demonstrate the perfect patina, “etching” and reclaimed look when crafted in our “French Quarter” distressed finish, which replicates the authentic imperfections of an antique stone floor — weathered beautifully with the passage of time. 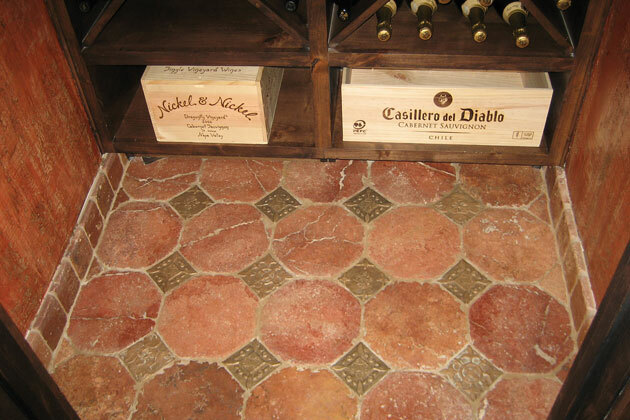 Chateau – lightly abraded surface with rounded edges, all tumbled. Suede – lightly abraded surface with hand rounded edges. Rustic – lightly acid etched surface with square edges. Parisian – honed surface with hand-chiseled edges. Antico – sandblasted surface with square edges. Pillowed – honed surface with vertically rounded or shouldered edges. 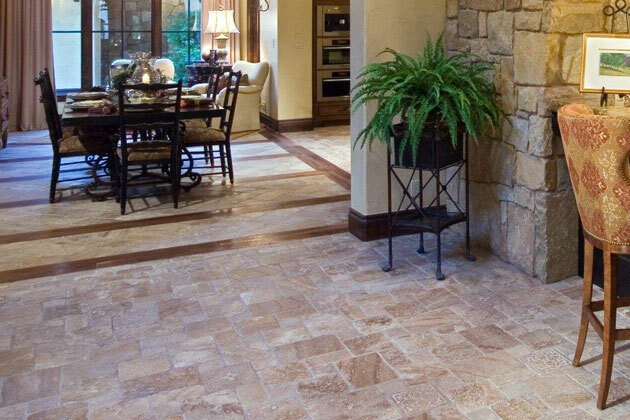 French Quarter – featuring a rough uneven surface and heavily chipped edges. Maison – is the same finish application as French Quarter with a brushing added to lightly smooth the surface. Customization regarding each stone’s size and shape is practically limitless. 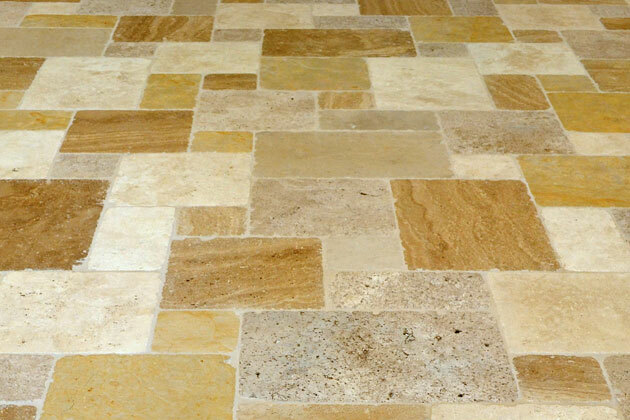 You can also combine different limestone and travertine materials in your floor pattern to emulate the wide color range of reclaimed stone floors such as Jerusalem Stone or Antique Dalle de Bourgogne. 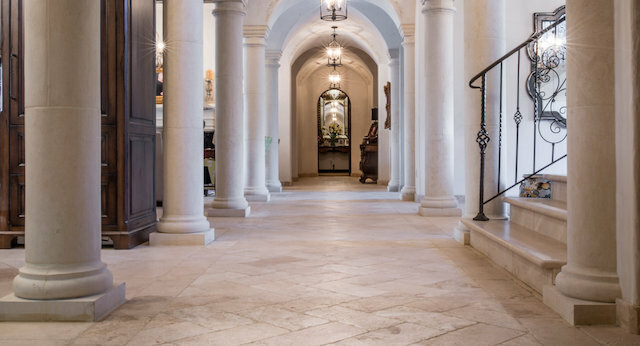 MML’s representatives can help you select the best architectural stone products with their expert knowledge regarding the performance and limitations of all materials.